Three designers from different disciplines and with unique perspectives talk and wonder about things that make humans happy, make design good, and business sustainable. 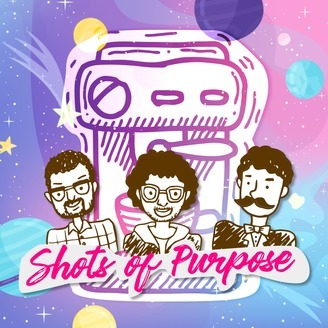 Shots of Purpose is a podcast for designers, entrepreneurs, and people who like to think as a conscious activity. 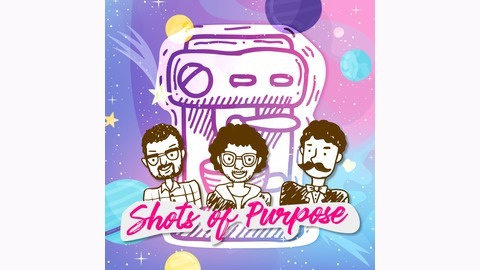 With Shots of Purpose, the hosts Brian, Joost and Tom aim to inspire listeners to do that which makes them happy while learning about design and business. What grade from 1 to 10 would you give your life right now? Are you happy? Do you know what makes you happy? We talk with public speaker and positivity guru Rudy van Beurden about how you can discover if you're not happy about something and how to change those parts. It's what some people call Personal Leadership and it can change your your life forever. Together with Rudy, we dive in deep into our own lives, but we also talk about very practical ways of measuring and changing your own happiness. This episode is a really good one, if we say so ourselves. Rudy van Beurden is a Dutch public speaker, host and positivity trainer. With his company GAAF, he's on a mission to make the Netherlands more positive and provide its people with much needed positive energy. The video Rudy talks about in the Podcast of Mel Robbins 'NASA experience' can be found right here. Climate change, what can we do about it? What will 2019 bring us?